John Loengard was born in New York City in 1934. He was a senior at Harvard when LIFE magazine asked him to photograph a freighter run aground on Cape Cod in 1956. The assignment kicked off Loengard’s long association with the magazine. Many of his photographs, including his essays on “The Shakers” and “Georgia O’Keeffe,” are now considered classics. After LIFE magazine suspended weekly publication in 1972, Loengard joined Time Incorporated’s Magazine Development Group as the picture editor of LIFE Special Reports. He was also picture editor of People magazine during its conception in 1973 and the first three months of its publication in 1974. Loengard was instrumental in the rebirth of LIFE as a monthly magazine in 1978 and was its picture editor until 1987. Since then he has taken photographs for LIFE, as well as other publications, and has been the author of ten books. 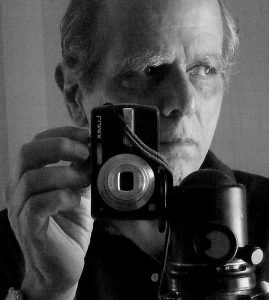 In 2005, American Photo magazine identified Loengard as “One of the 100 most influential people in photography,” and in 2018 he was inducted into the International Photography Hall of Fame.